In a HuffPost Live interview Wednesday, Donny Osmond looked back on his longtime friendship with the undisputed King of Pop, Michael Jackson. “Back in the early '70s it was the Jacksons and the Osmonds. It was Michael and Donny. We were kind of, like, parallel,” the 57-year-old singer told host Nancy Redd. The two came from large families, both born as the seventh children in families of nine. Their mothers’ even share the same birthday, he added. Osmond recounted one of the many conversations the two had before Jackson’s death in 2009. Their last chat, about a year before Jackson's death, may have been the most indicative of how the lives of both stars had changed so dramatically throughout the years. “He said, ‘Please don’t tell anybody, but I rented one of those big custom buses, those touring buses, and I took my kids. We’re hiding in Phoenix right now.’ Hiding from the press because everything had hit the fan,” Osmond said. Osmond was quick to offer a few words of advice to Jackson. “And I said, ‘Why don’t you do me a favor, Mike. You’re a nine-hour drive from my home in Utah. Bring your kids. No one will know you’re here. They’ll swim in the swimming pool. Have a little normalcy in your life',” he said. But the trip to Utah never panned out. “And he said, ‘You know what Donny, I think I’m going to do that.’ And he never did,” Osmond said. Watch the full HuffPost Live conversation with Donny Osmond here. 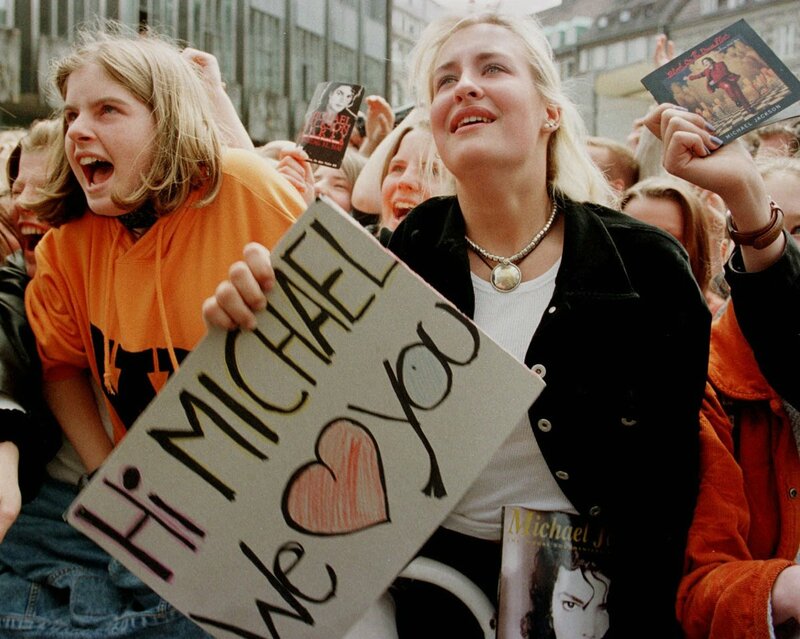 In an age when whole albums go up onto iTunes without any fanfare, it's hard to imagine a time when Michael Jackson announcing a new record would make the 6 o'clock news - but his star power meant that every step he took in his career became an event, and his fans all over the globe loved him for it.